Mark Pasch Ltd.'s Made to Measure process is not only about looking great, but feeling great. Taking service to the next level. Made to Measure is a way for gentleman to buy beyond the rack--perfectly tailored dress and sport shirts, suits, jackets and pants to fit any sartorial need. Made to Measure is an opportunity not only to enjoy great fit, but also to personalize your wardrobe through extensive choices of the world's finest fabrics and materials. It's important for every man to have his own personal style, and there's no better way to achieve it than with Made to Measure. There's also a no better way to wear the garment--as opposed to the garment wearing you. 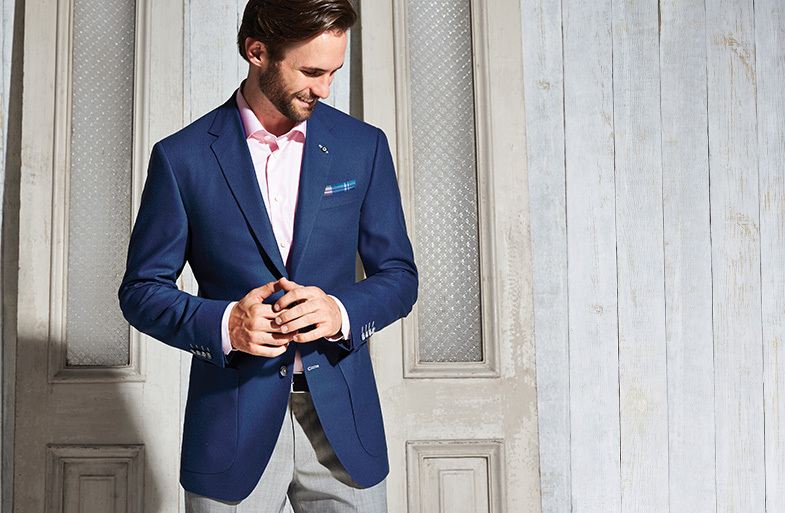 Look better and feel better with Mark Pasch Ltd.'s Made to Measure. And the quick turnaround time will make you smile. and Eton and Stenströms custom shirts from Sweden.